When someone is allergic to wheat or substances made from it, the immune system becomes hyperactive and start producing antibodies to fight it. It considers the proteins in wheat as a potential invader and starts an autoimmune attack to prevent the body from any harm. If you notice one or more of the above symptoms frequently, delay no more and consult a qualified homeopath soon. Wheat allergy is common in babies whose immune system is still under development. It is easy to confuse wheat allergy with celiac disease or non-celiac gluten sensitivity.But they are not the same as wheat allergy. 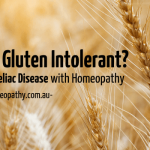 While celiac disease is intolerance against gluten the non-celiac gluten sensitivity causes digestive problems. Common allergens which can cause wheat allergy symptoms are Pollens, dust, animal dander, milk or what and its associated products. Also, one may develop this allergy on inhaling wheat particles. Though the best alternative should be to avoid wheat diet and get rid of the symptoms.But in actual it is very difficult to remain immune from wheat protein. As there are many products that may not be immediately obvious that may contain wheat proteins. So to help manage the condition from inside out , we recommend you to take the help of homeopathy. 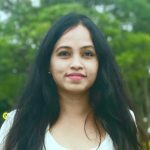 Homeopathic treatment serves as the best alternative treatment that not only provides relief from the symptoms but also treats the underlying cause. 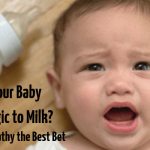 Homeopathic remedies for wheat allergy help optimize the hyperactivity of the immune system and help manage the condition for maximum relief. As people may respond differently to the same wheat allergy, homeopathy has a wide list of remedies to suit your particular symptoms. In homeopathy, no two patients with wheat allergy are treated the same way. After a personal analysis, your prescription may contain a different set of remedies than another similar sufferer of wheat allergy. Homeopathic medicines for wheat allergy help optimize the hyperactivity of the immune system against wheat. Mainly given to persons showing symptoms of allergic rhinitis. Consult a qualified homeopathic doctor for treatment. 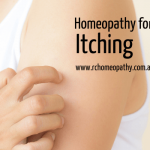 If you already have prescription buy it from genuine homeopathic remedies store in Australia.